Long time no post… such is life. 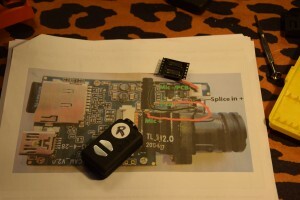 I was asked to do some hardware hacking by an acquaintance that I thought might be interesting to some folks. It seems that there is something call a Mobius Actioncam that’s a really cheap alternative to GoPro for basic highquality 1080p video. It’s getting used as a dash cam but also on radio control aircraft due to it’s very light weight and compact package. My friend loves the camera as in car video. He actually has three setup (front, back, and driver view) but he is less than thrilled with the audio he is getting from the camera’s internal microphone. He would like to pickup more engine noise (rummmm rummm) and his voice clearly for some country drive videos he is doing. 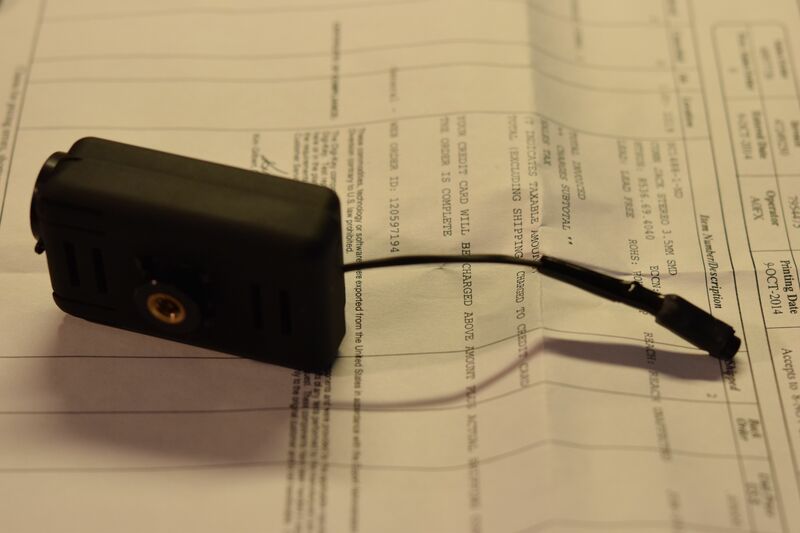 He found a guy who had hacked a 3.5mm audio jack into the case of the Mobius camera. Here is a scan of the internal hack my friend had found. My friend likes the idea of the external microphone jack but not putting it inside the camera. I was a bit worried about mounting the jack internally as shown above since it is just glued to the circuit board with no case mounted strain relief. 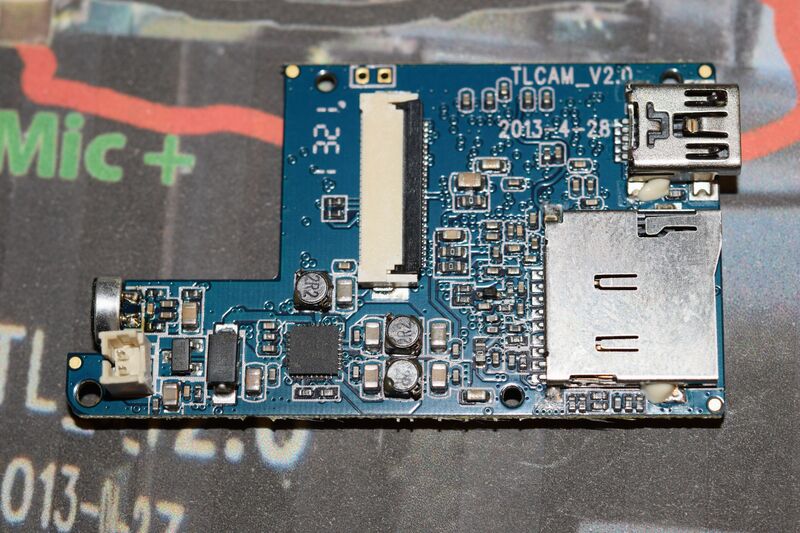 Eventually that jack is going to become unglued from the circuit board… probably on a day when you really need it. I said I could put it on an external cable… and here is how I did it. First of all here are some photos of what the Mobius Actioncam looks like on the inside. Note the camera module connects via the ribbon connector. You can actually buy alternate camera modules (wide angle and normal) and cable extensions for custom installations, but these ribbon connectors are not designed for very many insertions so I’d be very careful about doing camera swaps on a regular basis. I had to remove this camera module to gain acess to the microphone and it made me very nervous. I have trouble with these connectors in the past. I tried to find information on the Novatek processor but didn’t find anything useful beyond a small amount on the company website. The intent is to have the internal mic still work when the external mic is not attached. 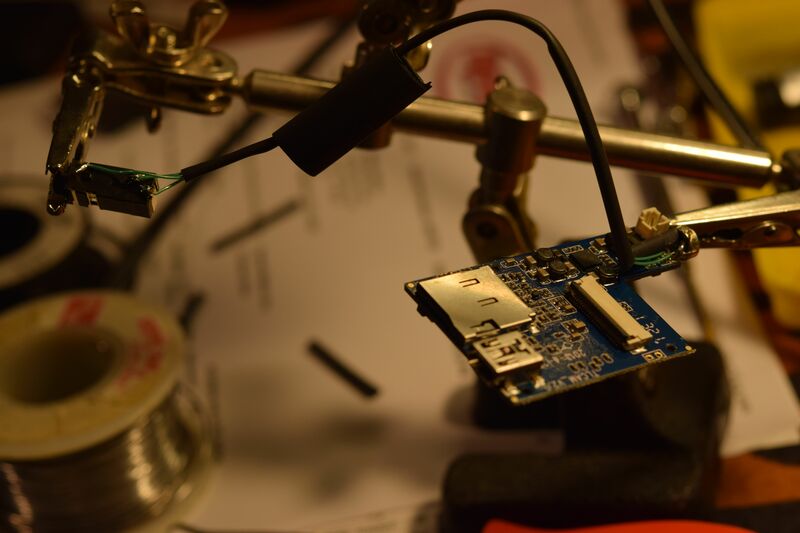 To do this we need to install an external jack which will route the internal mic back to the circuit board when not mic is there and break that connection when there is an external mic. The previous hack was done with a stereo jack found online at Digikey. 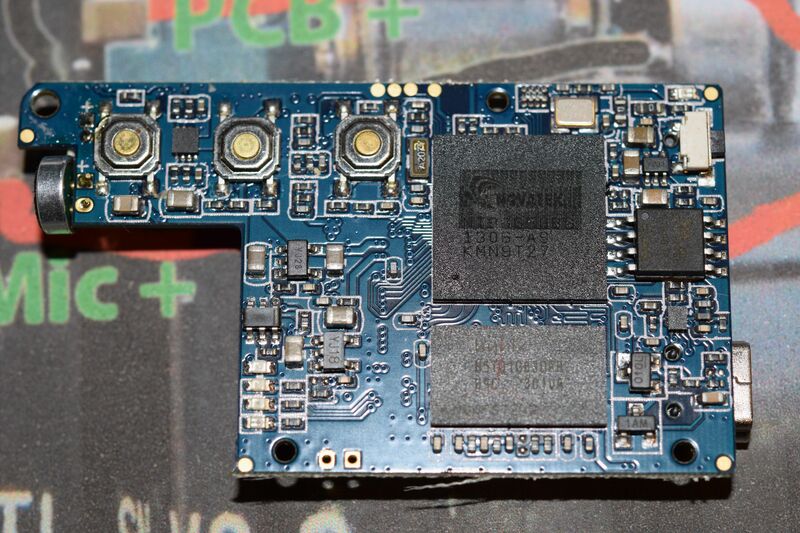 Digikey is a great source as they have almost any components at a reasonable price AND they will sell in quantities of ONE, which is really rare. In this case I ordered two of the Switchcraft 35RASMT4BHNTRX jacks. 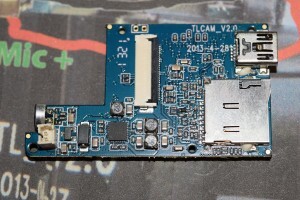 Switchcraft makes great products. I use their 1/4″ jacks a lot in my audio work. 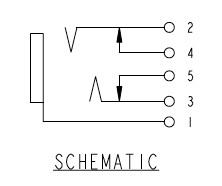 Here is a schematic of the switch from the Switchcraft datasheet. The jack we are using is intended for a stereo jack but I could not find an input for left and right channels… so we are going for mono operation here. 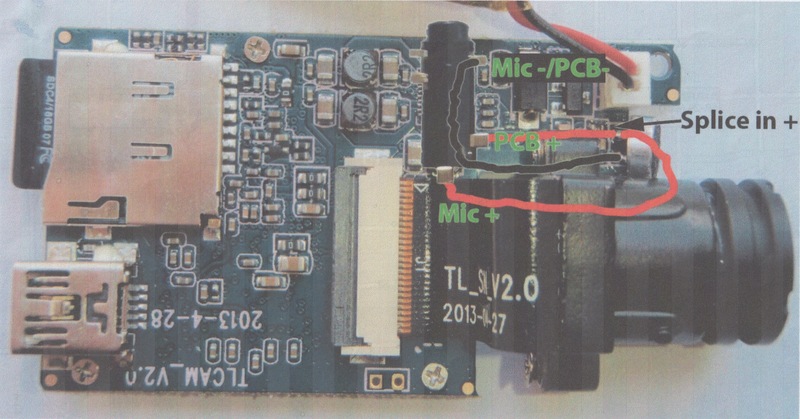 So one must lift the signal side of the internal mic, attach a very fine wire to the circuit board where the mic was attached. This wire runs over to one of the new 3.5mm jack’s tip connection 3. 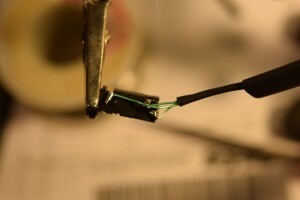 The mic’s lifted pin is then soldered to a wire sent to the tip connection 5. The last connection is to wire the ground ring of the external jack (pin 1) to the ground of the internal mic. Here is where I broke the internal mic (doh). I over heated the internal mic’s ground lead and it detached from the mic body. Now I have to replace it. 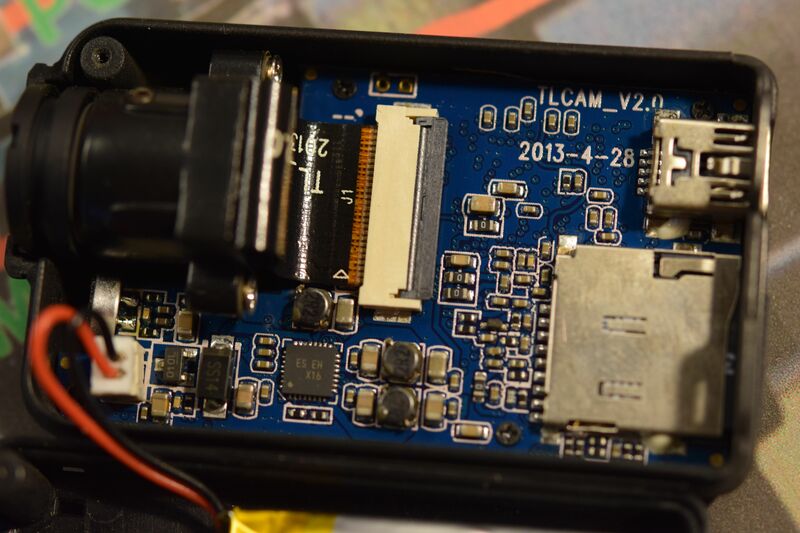 Here is a picture of the completed wiring on circuit board side. You can see the mess I made of the mic trying to repair broken lead… to no avail. 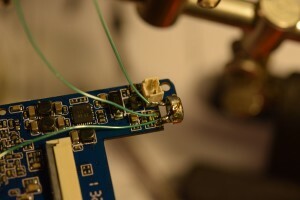 Here is a photo of the connector side wiring. Due to the very small circuit board features I used my needle point soldering iron tip and some wire wrap wire I had laying around (anybody else remember wire wrapping?). Naturally this wire is not substantial enough to route outside the camera so I cut a long length of 1/8 inch heat shrink tubing to encase the 3 leads. I also wrapped the body of the 3.5mm jack in heat shrink. Here is a photo of the wiring complete with heat shrink sheathing before reinstalling the circuit board into the camera case. The cable is routed out of the camera body through a small slit I made in the top of the camera case. The key here is to make sure the slit is snug enough to provide some strain relief. You don’t want to pull those tiny connections off the circuit board! I was a little worried that routing the audio unshielded over the processor would result in noise in the video but that has not been a problem so far. All in all it was a fun little project and made my mind run a bit wild on how I would have built this camera. I’ve been doing a lot of repairs recently and I may ad some posts on these… but we will see. When is a Wall Mount not a Wall Mount?